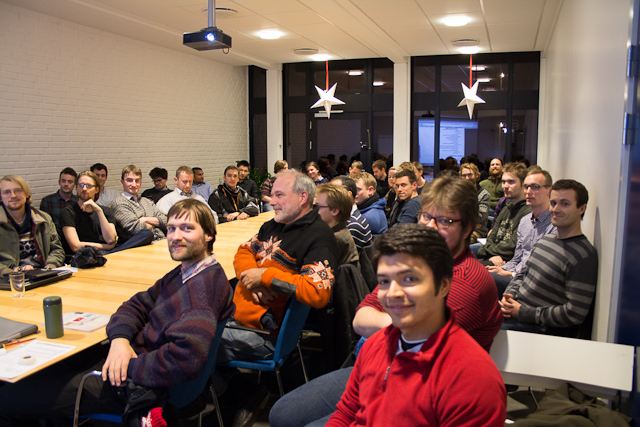 The Python meetup that we arranged was succesful, atleast if we measure only by the number of people attending. 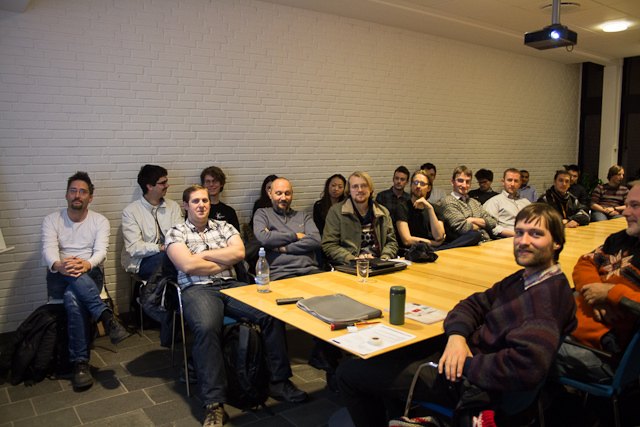 When we started we said that if only 20 people would attend, then we would be very happy :) But the number actually ended up being close to 50 people. We don't know exactly how many people there where, but most had signed up - some where just invited. I gave a talk, which was very originally called 'Scientific Python'. It was mostly introductory, and evolved around the small pitfalls you might encounter when switch over from Matlab or a similar language to Numpy Python. The slides are here.